The HRN 100 Series Specialty Nozzles are the industry’s high tolerance, high precision, fixed arc nozzles. 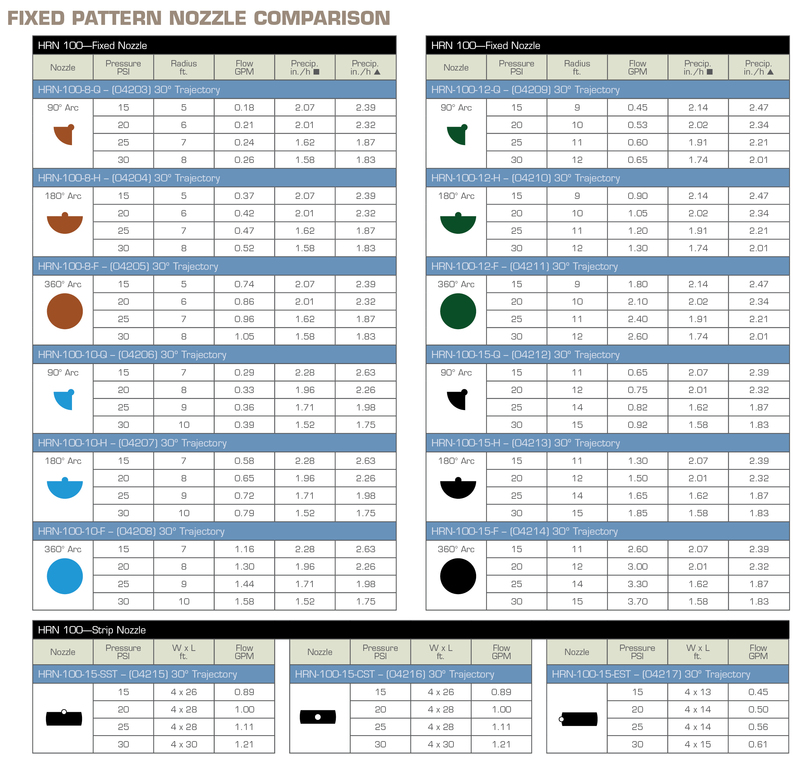 HRN 100 Specialty nozzles are available in Center-Strip, End-Strip and Side-Strip patterns. Arc and distance identifiers on nozzle top. 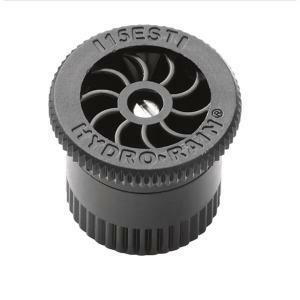 The coin edging on nozzle top allows easy installation even in wet conditions. Slotted stainless steel adjustment screw allows for easy fine tuning of radius.